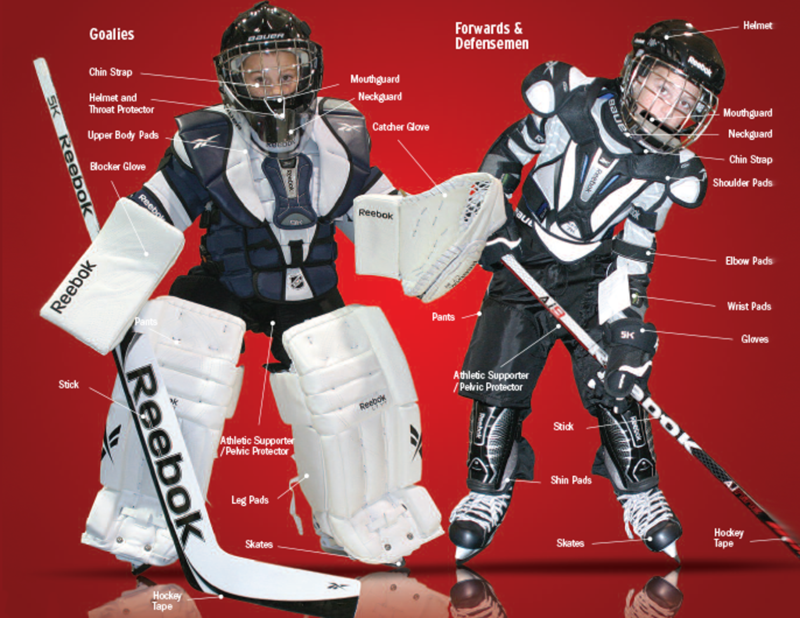 Your most important decision before starting hockey should be to purchase properly fitted and comfortable equipment. When equipment is not suitably fitted, the player may be injured. Three important factors should be stressed when evaluating hockey equipment: A) that the equipment is in good condition, B) that the equipment is well maintained throughout its life span and C) that the equipment fits properly. ‘Hand-me-downs’ are a great way to save money but be sure to carefully inspect the items to ensure they are safe to wear.